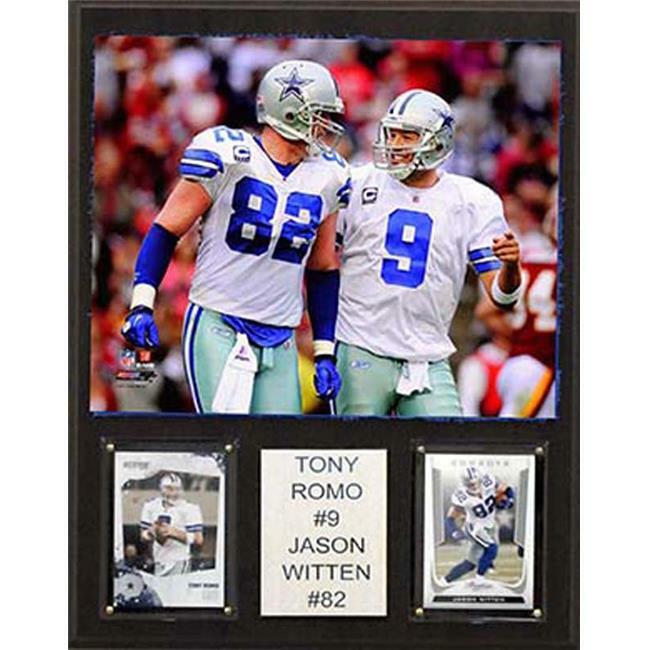 Tony Romo & jason Witten are celebrated on a 12''x15'' cherry wood plaque featuring a licensed 8''x10'' photo, two genuine licensed trading cards of the players along with an engraved nameplate. Superior, high-clarity acrylic lens covers firmly affixed to the plaque with brass-type screws protect both the photo & trading card. The polished look makes for a well-crafted, long-lasting piece perfect for displaying in an office, recreation room, or any spot for a fan to enjoy. It is proudly produced & assembled in the USA.